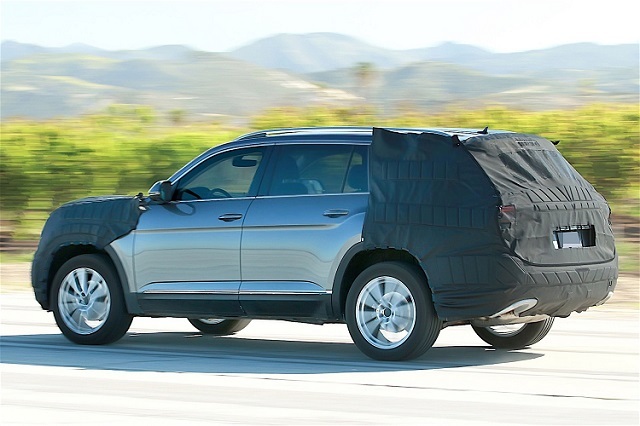 We already spotted Volkswagen’s new three-row crossover without camouflage, but today we noticed partly hidden model which is speculated to be the same vehicle. This means that the first prototype we saw was wearing unfinished bodywork, because this newest spy shots show some new styling cues. It is evident that the large crossover has lots of similarities as the interesting CrossBlue concept, so until we don’t found out the real name, we will call it the 2017 VW CrossBlue SUV. According to the newest speculations, the upcoming 2017 Volkswagen CrossBlue will ride on the carmaker’s familiar MQB architecture, but in contrast to the other models, the new three-row crossover will feature larger footprint. This will enable the vehicle more spacious interior, which should easily accommodate seven adults. 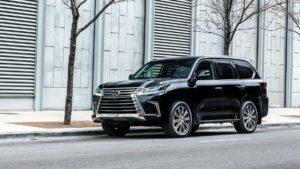 The all-new SUV will jump into the toughest segment, where should become a worthy rival of the outstanding models such as the Ford Explorer and Toyota Highlander. This means that the 2017 CrossBlue has to have some amazing characteristics, which should be most noticeable inside and under the mighty hood. 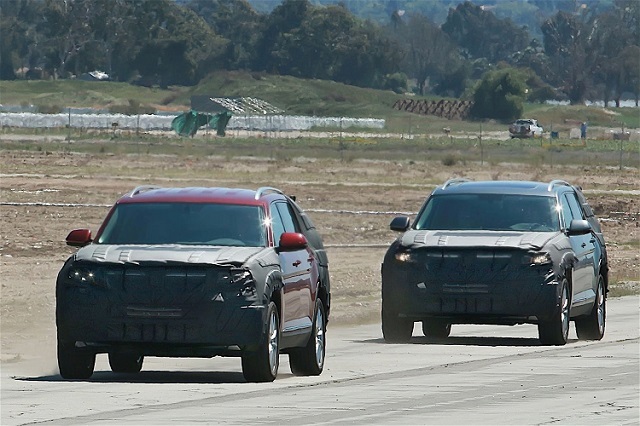 Speaking of which, the crossover will likely lose the concept’s diesel-electric drivetrain. We wouldn’t mind to see it, but since the car manufacturer had an “accident” with its diesels, it is more likely scenario to see some king of a gasoline-electric model. Except of the hybrid drivetrain, the 2017 VW CrossBlue will also offer several gasoline engines. As we announced earlier, the SUV will have a new 3.6-liter engine that will deliver at least 300 horsepower. 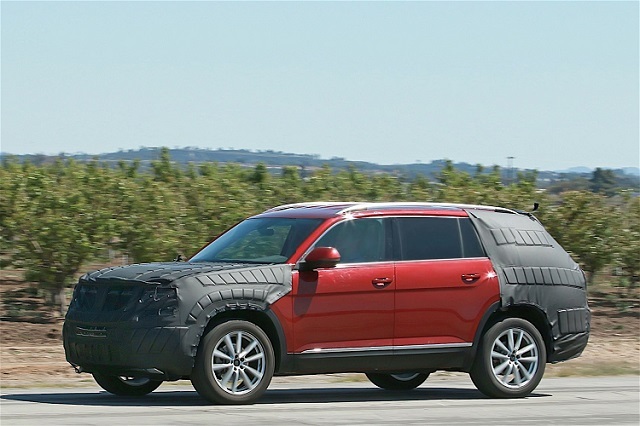 As you may notice from the photos, the 2017 Volkswagen CrossBlue is ready to be introduced, so we can expect it at one of the upcoming big auto shows, possibly in Los Angeles.